Apple have just been granted a patent which could see future iPhones or even the iPhone 5 appear with NFC technology allowing users to check-in to airport terminals using just their smartphones. The patent shows that Apple could well be looking to expand on its Passbook app, a new feature which was recently announced to be launching alongside iOS 6. Passbook is at present more a hub containing travel information and visual ticket codes letting you gain access to train tickets, live entertainment events and also use store cards. The acquisition of an NFC-related patent will naturally prompt suggestions that Apple could well be releasing the upcoming iPhone 5 with NFC or indeed be looking at placing the tech on their future devices. 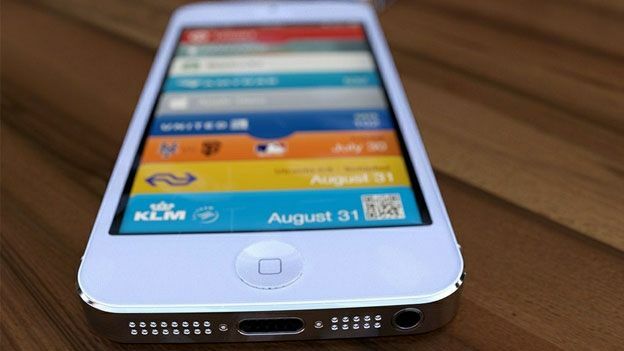 To find out more about what could be arriving from Apple why not check out our Apple iPhone 5 News: Release date, price & specs rumours piece which gives you all the up to date gossip on Apple's upcoming rival to the Samsung Galaxy S3.